1- Migration officers have been forced out to the street to answer to the protesters. They are reviewing our claims and considering our protests. This does not mean that he won’t be deported. 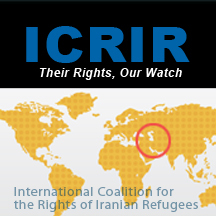 2- Sirvan now has a lawyer as of late last night, and she is trying to get the decision-maker’s attention to stop the deportation. 3- Amineh Kakabaveh, Member of Swedish Parliament is working extremely hard to stop this deportation. 4- Sirvan is being prepared for the flight. 1) CALL: There’s not a moment to spare. 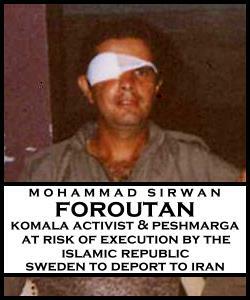 Call the Swedish Immigration Board at +46-771-235-235 RIGHT NOW to demand a halt to Mohammad Sirvan Foroutan’s deportation. Select “customer service,” and provide Sirvan’s case number: 10859037.